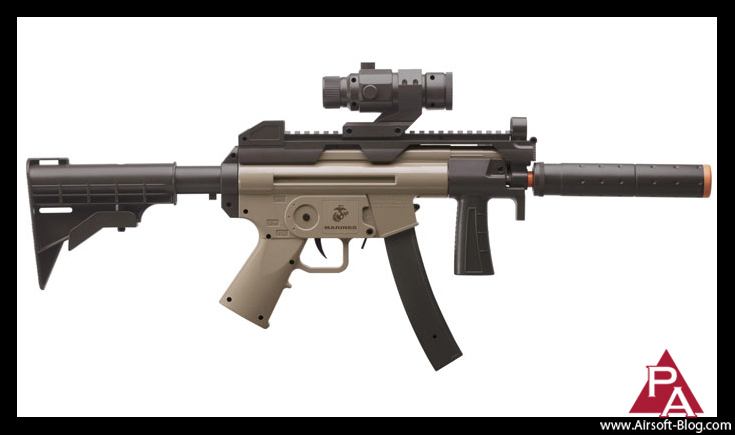 Well, for those of you who were dying to see what Crosman thinks are appropriate options for branding with the United States Marine Corps logo, Pyramyd Air has a couple up on their website, plus Crosman updated their Twitter feed this evening with a picture of an upcoming third release. Here they are. What do you think? 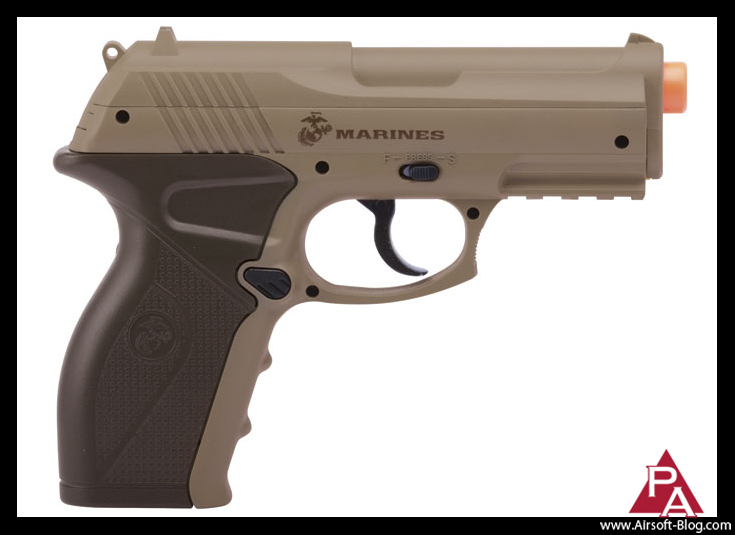 Then, this evening, Crosman released a teaser photo of their next U.S. Marine Corps pistol, which appears to be a Glock at first glance, but one must remember that Glock doesn't currently want to play nicely with the Airsoft world. 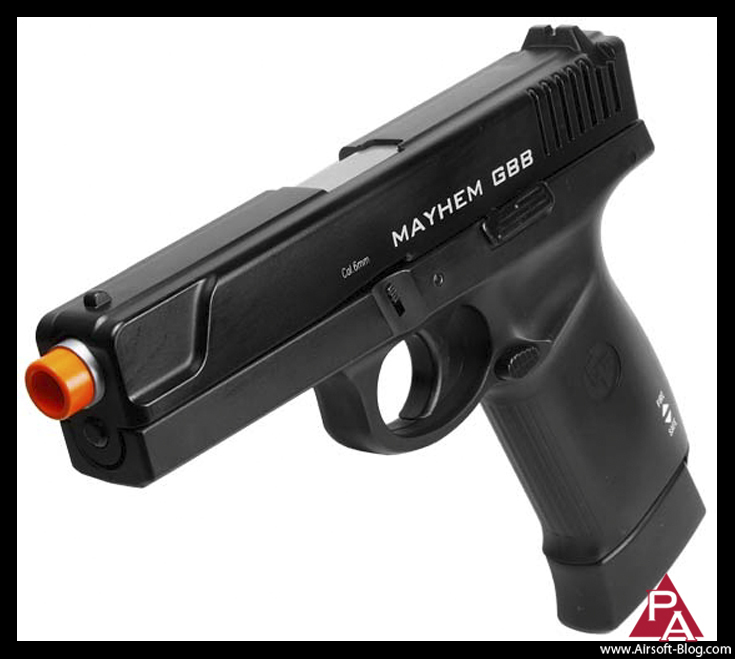 Nope, that looks to me like they've slapped the Marine Corps logo on the side of a Gameface Mayhem Gas Blowback Pistol and just changed the color of the slide. 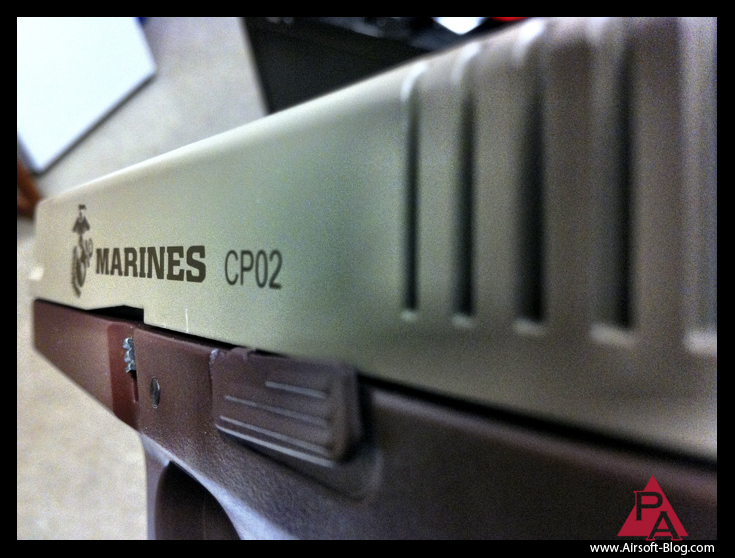 New Crosman USMC CP02 CO2 Airsoft Pistol, Photo by Crosman Corp. Note, in the photo above, at the very front of the slide, there appears to be an indentation that looks awfully similar to the one below, available, of course, from Pyramyd Air. I can't say I've checked lately, but I'm pretty sure none of those models represent any of the weapons that the Marine Corps currently issues to their Marines. Just an observation.